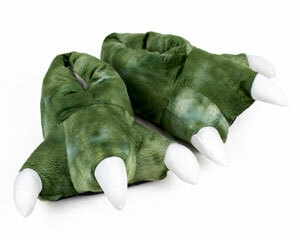 Go back in time with these awesome dinosaur claw slippers. 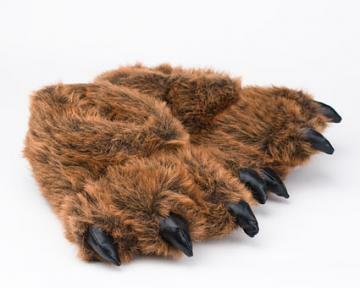 Rendered in a washed out shade of green to lend the exterior a scale-like quality, they come complete with three raptor claws. 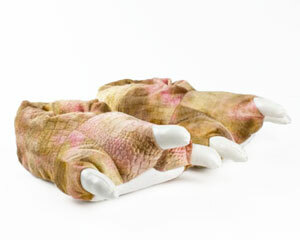 Wildly amusing in appearance, the dinosaur paw slippers provide full coverage and thick, plushy soles. 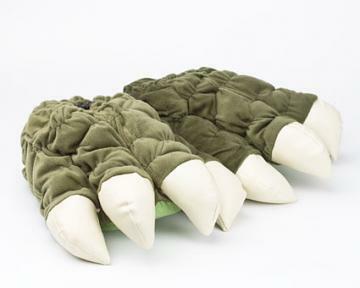 They make an ideal gift for the dino enthusiasts in your life.